The new program gives Amazon more ways to ship packages without having to rely on UPS, FedEx and other services. 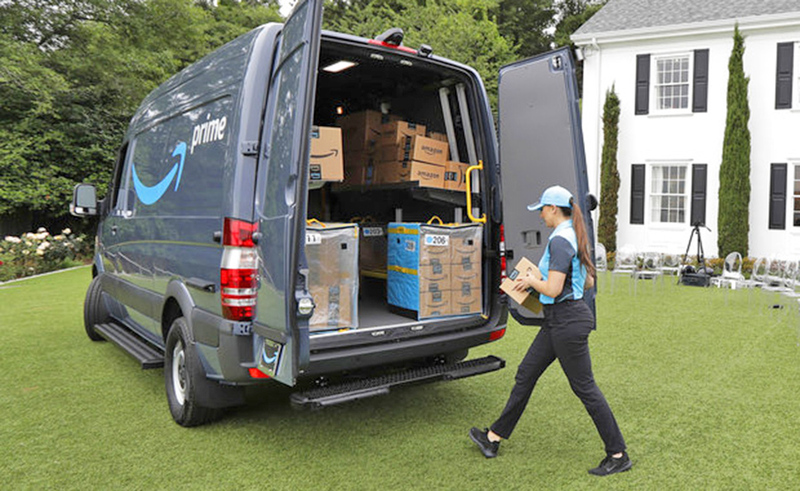 SEATTLE — Amazon packages, which usually show up in a UPS truck, an unmarked vehicle or in the hands of a mail carrier, may soon be delivered from an Amazon van. Recently, the company has come under fire from President Trump, who tweeted that Amazon should pay the U.S. Postal Service more for shipping its packages. Dave Clark, Amazon’s senior vice president of worldwide operations, said the new program is not a response to Trump, but a way to make sure that the company can deliver its growing number of orders. “This is really about meeting growth for our future,” Clark said. Olaoluwa Abimbola, who was part of Amazon’s test of the program, said that the amount of packages Amazon needs to deliver keeps his business busy. He’s hired 40 workers in five months.